I am sure everyone must had heard of Real Techniques brushes, they are just amazing! They have been designed by one of the Pixiwoo sisters, Samantha Chapman. The quality of the brushes is really good, all of them are really soft. Real Techniques brushes are all make with synthetic hair which makes them 100% cruelty-free. 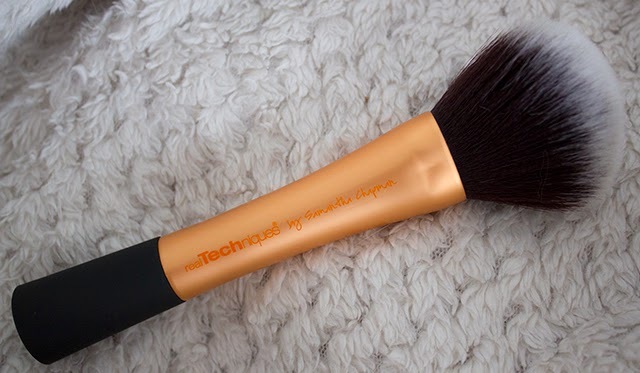 The powder brush is just amazing in size, softness and the amount of product it picks up. Some of the powder brushes I used before had starched my face, every time I used them, not like actually starch, but they been harsh on the skin. I love having a good sized powder brush, large brushes make my life easier, as you just need two moves. 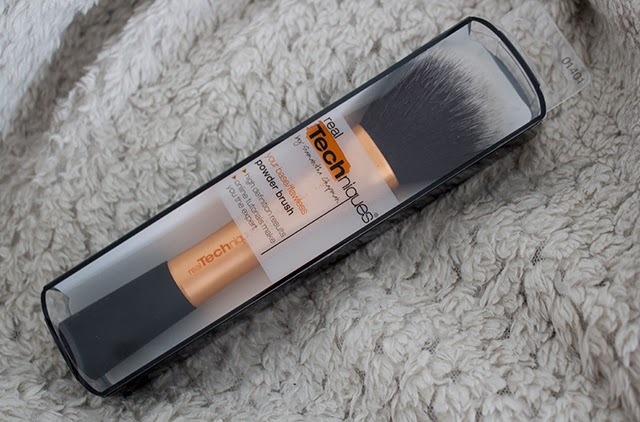 I also like to use this brush to blend out blusher/bronzer/highlighter on my cheeks, works really well when I apply too much of a certain product, then I take a bit of powder and blend it in. The one negative thing is that I am not a big fan of the large black handle at bottom of the brush, as it takes up so much space in my make-up brushes holder, but overall I really love the brushes. In my opinion good brushes are must have. I am not a owner of any MAC brushes, and to be honest I don't really feel like I need them at the moment. I am more than happy with my Real Techniques brushes, as they are really good quality and definitely worth the money. I can't wait to get my paws on the eye kit, I recently have became a happy owner of the core kit, so far I love it. I own MAC brushes and I feel like I don't need to change from the brand but I have heard amazing things about these brushes. This looks so soft and so thick from the photos, can tell it's very good quality! I have this brush and I love it! It's soft and fun to use because its so large.